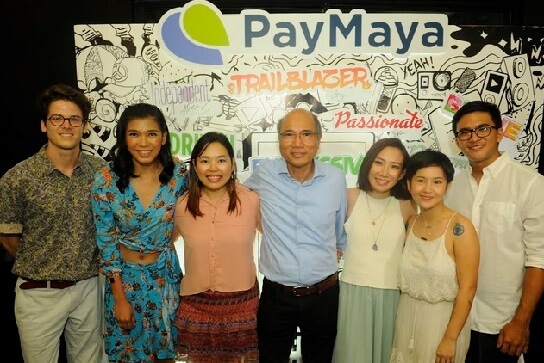 PayMaya, the country’s pioneer and leader in digital financial services, launched its “Millennials Beyond the Selfie” campaign to further inspire and empower the younger generation of Filipinos in pursuing their passions and goals beyond the ordinary. The campaign also seeks to spark deeper conversations and help debunk the stereotypes and myths surrounding the digital generation. According to PayMaya, around 35% of the country’s population belongs to this generational group. As they will become the largest living generation who will drive society’s socioeconomic and cultural development, PayMaya aims to help build an important backbone of the nation. PayMaya also introduced their brand ambassadors who are redefining their generation. They are The Phenom with a Purpose Alyssa Valdez; The Expat Community Builder Louis Faure; The Philippine eSports Champions TNC Pro Team; The Pinay Solo Backpacker Gael Hilotin; The Mural Master Jappy Agoncillo; The Artsy Mom Ava Te-Zabat; and The Online Jill of All Trades Wiji Lacsamana. To celebrate the campaign, PayMaya opened a one-day exhibit at the art venue, Pineapple Lab, to creatively narrate the stories of the brand ambassadors. Meanwhile, PayMaya links millennials to the digital economy by providing a means to shop and even pay online without a credit card. The company also enables consumers to manage their finances.